Nats have the best rotation in the division anchored by Stephen Strasburg. Acquisition of Doug Fister form the Tigers will also be a boost to the rotation. If the Nats, especially Bryce Harper can remain healthy for a good part of the season, Nats will be dangerous in the NL. Nats finished last season strong, going 26-12 down the final stretch. Braves bats will be providing some heavy lumber again this season, especially the middle of their lineup. The loss of 2 of their starters, Kris Medlen and Brandon Beachy, could be a hindrance to the rotation. But with an offense that includes the power trio of Freddie Freeman, Justin Upton and Evan Gattis, and a strong back end of the bullpen, the Braves still remain a legitimate threat to win this division. Phillies starting rotation still sport a formidable 1-2 tandem in Cliff Lee and Cole Hamels but age has caught up to this organization that had made it to the post-season 5 consecutive seasons from 2007-2011, appearing in 2 World Series and coming out on top in 2008. 5 years ago, I would have loved to have Jimmy Rollins, Chase Utley, Ryan Howard and Carlos Ruiz in my lineup. In my surprise pick, I’m picking the Marlins to finish beyond the NL East’s cellar. It will be interesting to how if NL ROY pitcher Jose Fernandez follows up his ROY campaign as he will be anchoring this young rotation. Marlins still have too many inexperience to pose a serious challenge for the division. The Mets starting pitching should make for a lot of close games, but scoring runs continues to be an issue for them. David Wright is not the home run threat he once was. I’m also interested to see if Bartolo Colon can match his somewhat surprising performance of 2013, and I say somewhat because, yes, he will be turning 41 in May. Can he pitch 200 innings ? 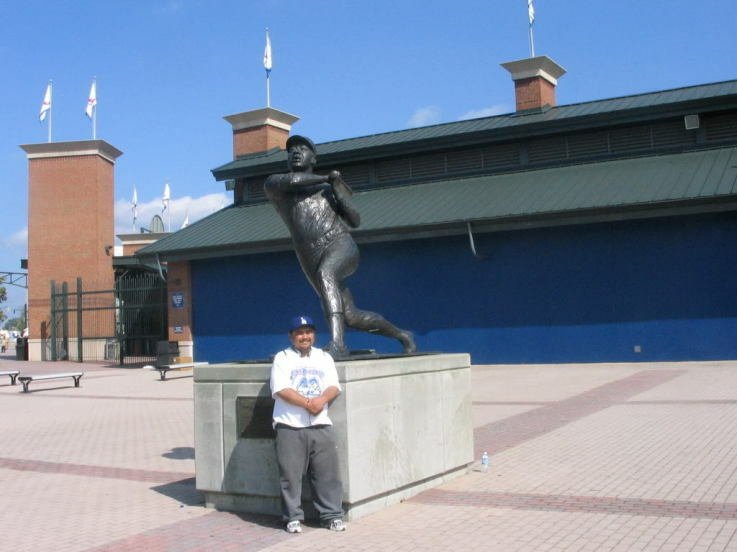 Having said that, Colon should still provide a steady veteran presence in their rotation. So, as for the NL East , it appears that there is no lack of pitching from the top on down the bottom. I still see this being a 2 team race between the Nationals and Braves. Over the last 14 seasons dating back to 2000, the Cardinals have had the most successful run in the National League, with 10 post-season appearances, including 4 trips to the Fall Classic in which they have won 2. Aside from the loss of David Freese, the Red Birds pretty much field the same personnel from last year’s squad that took them to the World Series. 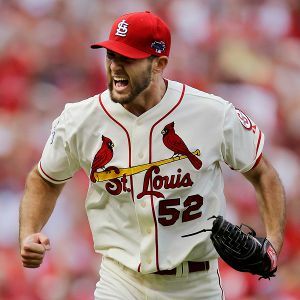 Their pitching staff, a good mix of veterans and youngsters from Adam Wainwright to Michael Wacha, could be the deepest in all of baseball. 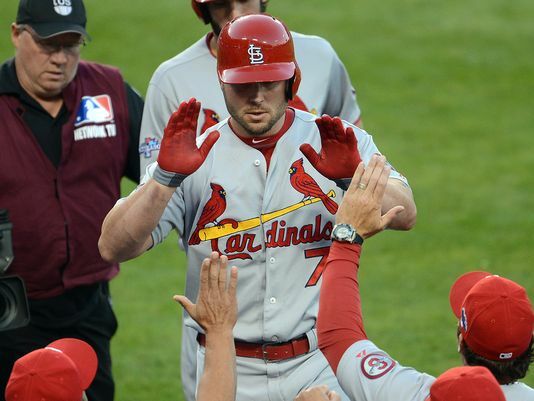 The offense along with Matt Holliday and Yadier Molina is also expected to put up some big numbers. The Pirates, after going 21 consecutive seasons of sub .500 baseball, not only broke that dubious streak but won 94 games en route to a Wild Card victory over the Reds before taking the eventual NL Champion Cardinals the full 5 games in the NLDS. A lot has been made of the Bucs pitching and defense, which was certainly a huge factor in returning to post-season play for the first time in 21 years. The Bucs and their fans got a taste last year, now everyone in Steel City wants more, and they should. If they can add another solid bat or two to back Andrew McCutchen to their offense ranked 9th in the NL in scoring last year, the Bucs could make another serious run in October. 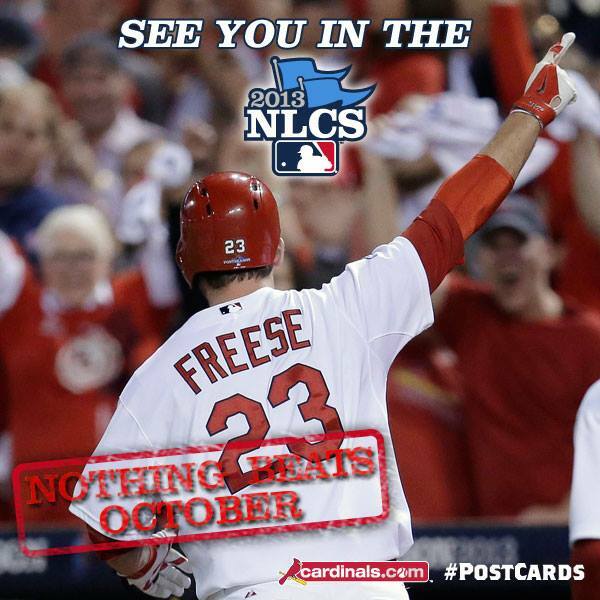 Overlooked last year was the fact the Reds made it to post-season play for the 3rd time in 4 years. 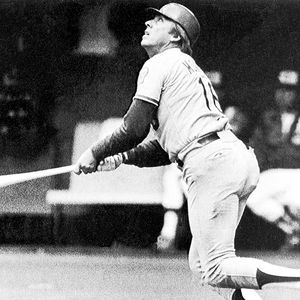 However, closing out the season on a 5 game skid, including a 3 game sweep at the hands of the Pirates in the season’s final weekend at home, capped off by their Wild Card loss to the Bucs, eventually cost Dusty Baker his job as skipper. Fair ? I don’t think so. But that’s life in any major coaching capacity these day’s when even a hint of success is achieved and higher expectations are not immediately met. The big 3 run producers, Votto, Bruce and Phillips remain intact. The health of the pitching may be a question mark. The bullpen will be thin at times with the loss of Aroldis Chapman until at least June. ( Thank goodness he’s OK after being hit in the head by a line drive from Royals Salvador Perez ) . Ryan Braun return from his suspension will definitely add some pop to the Brewers lineup along with Lucroy, Segura and Carlos Gomez. Pitching, as well as keeping key players off the DL , will be key for the Brew Crew if they are to sneak up toward the NL Central, the only division with 3 teams with 90 plus wins in 2013. It has been 105 years since the Cubs have won a World Series. With all the youth on their team, it’s highly doubtful Wrigley Field, celebrating it’s 100th birthday, will finally be presented with a World Series triumph any time soon. Anthony Rizzo led the club with 23 dingers, and he could pass that up this season, but with a thin all-around lineup comprised of youngsters, he may not get many opportunities to drive home many runs. So the NL Central could very well have 3 post season teams this year. St Louis with all it’s depth is the favorite to win the division, but Pittsburgh and Cincinatti, the somewhat forgotten team of last season, could pose a serious challenge for the NL Central crown. 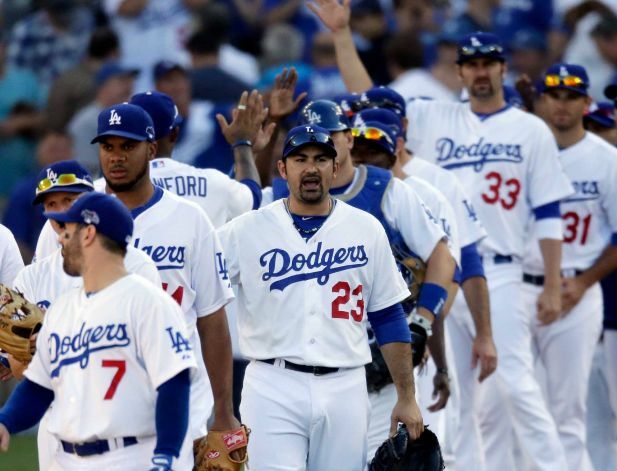 The Dodgers are the overwhelming favorites to repeat as NL West Champions. Many expect the Blue to run away with this division. If only it we’re so easy. 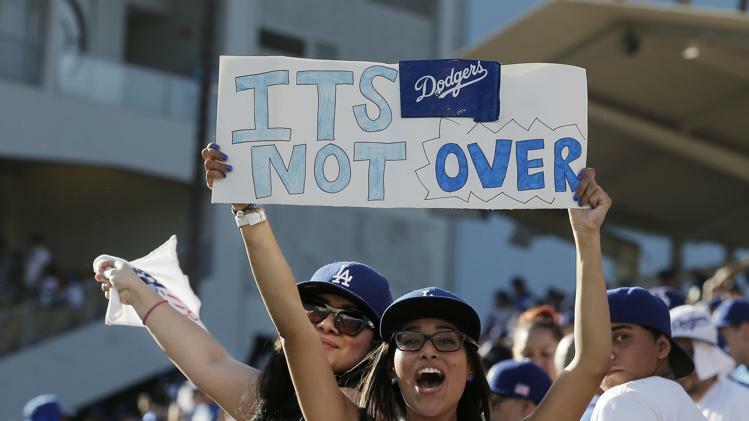 However, with all the depth they have, there really is no reason to think the Dodgers will not win the division unless injuries, which no expert prognosticator, can ever predict. 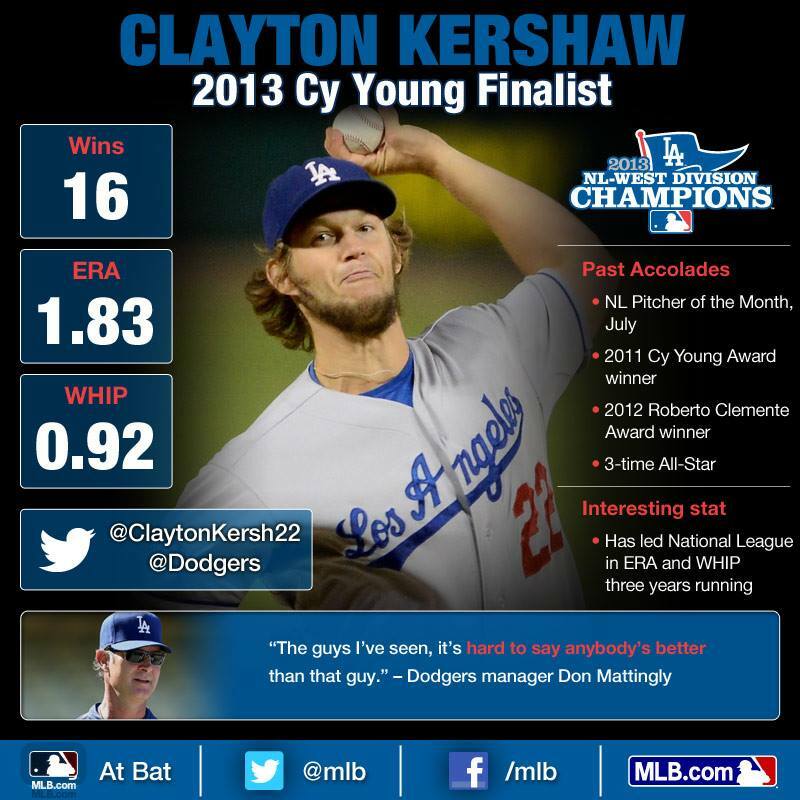 The starting 5 could potentially have 2 20 plus game winners in their rotation in Kershaw and Greinke, and a couple of 15 plus game winners with Haren and Ryu. The bullpen, anchored by Kenley Jansen along with the return of Brian Wilson and the acquisition of Chris Perez, could be the best in the game. Is this the year Dee Gordon solidifies his everyday spot in the infield at 2nd base ? Will the Dodgers be with 4 outfielders the entire season ? Can Matt Kemp ever return to the Matt Kemp of 2011 ? 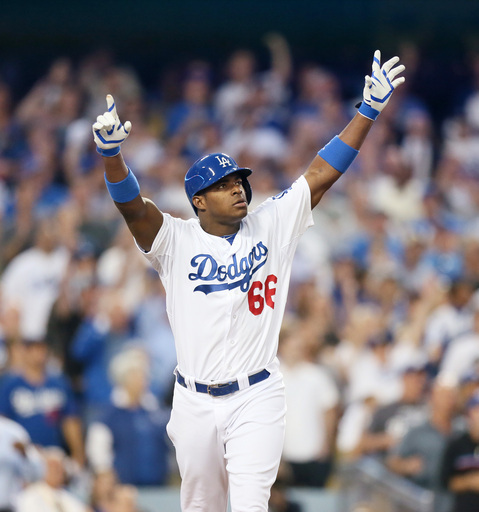 Yasiel Puig, after his breakout rookie season in which he played a huge part in the Dodgers run toward the post-season, how will he handle the pressures of higher expectations in 2014 ? Yeah, I’m being somewhat pessimistic. But that’s what fans who follow their teams closely do. Having said that, this team really is loaded. Many of these so-called issues are ones lots of teams would like to have, especially when talking about the outfield and pitching depth. I haven’t even mentioned the presence of Hanley and AGon in the lineup, also expected to put up some more big numbers this season. Our rivals up north, the Giants, after struggling through 2013 with many of it’s players spending time in the DL and an unlikely shaky season from it’s rotation, look to give the Dodgers a run for the division. As much as Cain and Lincecum struggled, they still form a pretty formidable tandem along with Madison Bumgardner. The offense may be a question though, however, if the top of their lineup can stay healthy, Hunter Pence and of course Buster Posey could have more run-producing opportunities. How does a lighter Pablo Sandoval do in a contract year ? There will be no shortage of runs in Arizona this year, as long as they got notorious Dodger killer Paul Goldschmidt in that lineup along with the addition of former Angel Mark Trumbo. The starting 5 is another story and the loss of Patrick Corbin before the Opening Series did not do any favors to the top of their rotation. The usually durable and dependable Bronson Arroyo should provide a good veteran presence. Will it be enough for the DBacks to pose a serious challenge in the NL West ? The strength of the Padres, celebrating 10 years in Petco Park, has always been their pitching. Even with the changes in the outfield, Petco still remains a pitcher friendly yard. Now if only scoring runs wasn’t such an issue. Not helping matters is Josh Johnson, slated to be the Opening Day starter, is starting the season on the DL. With Chase Headley and Carlos Quentin in their lineup, will they have enough talent in that lineup to provide those two ample opportunities to drive home runs, always a tough task at pitcher friendly Petco. The Rockies, opposite the Padres, have always been known for high offensive numbers. Playing 81 games at Coors Field certainly helps, especially when you have guys like Tulowitzki, CarGo and Michael Cuddyer in that lineup. Pitching, on the other hand, has historically been an issue for the Rockies. I really think it does have something to do with the thought of pitching in thin air , thus possibly affecting the mechanics of their starters. As stated earlier, NL West is their for the Dodgers to take. Will they run away with the division ? No. I look for the Giants and DBacks to be the Dodgers closest contender, with the Padres and even the Rockies being possible sleepers to move up in the division. I still feel this is Matt Kemp’s team to lead. He may not be the 5-tool player that we saw in 2011 and may never go back to that form, but his presence in the lineup along with Hanley, Gonzales, Puig and either Ethier or Crawford, can still not be overlooked. 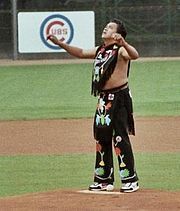 I also would like to see Juan Uribe to build upon his performance from last year . It’s been noted that Juan struggles after a contract season. 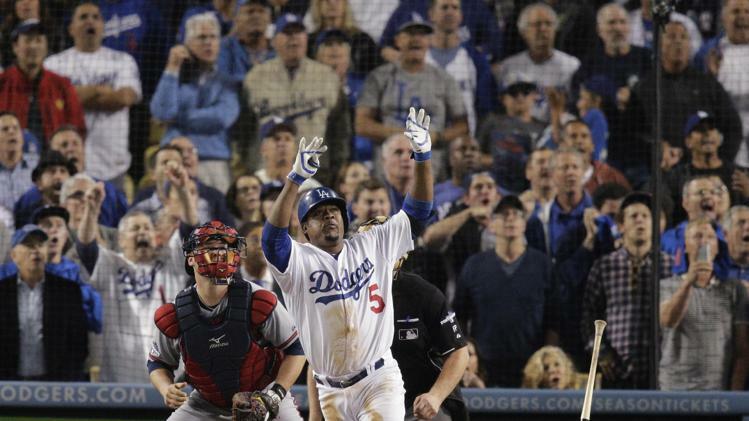 We will find out this year which Uribe we see, be it the Juan of 2011-12, or Juan Uribe of 2013. 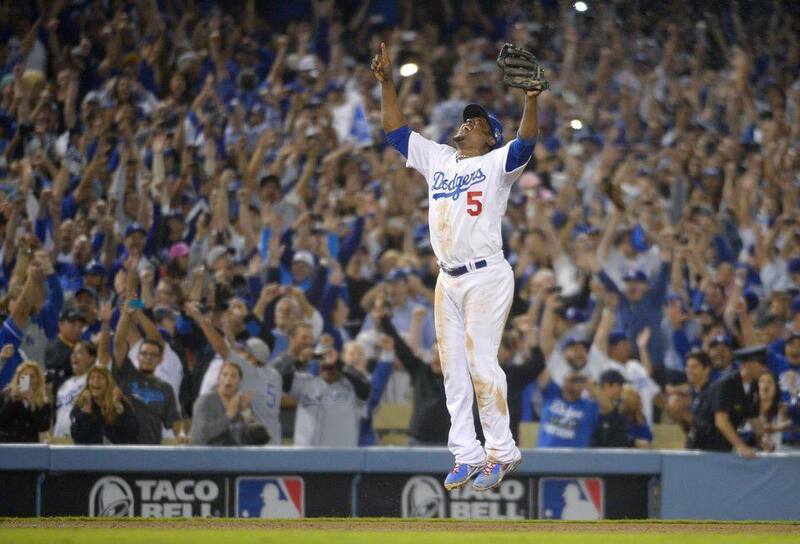 And of course, let’s not forget our favorite Cuban, Yasiel Puig. Yes, he may be the most talented player the Dodgers have, which, when compared to a healthy Matt Kemp, is saying a lot. Yes, he still has the potential for an even bigger upside. And of course, yes, there’s also potential that dealing with the young Cuban Missile can be an ongoing issue. By now, we all know that Yasiel Puig was called out by manager Don Mattingly after last Saturday’s 7-5 win over the DBacks, in which Puig went 3 for 5. There is no denying the world of talent this kid posses. 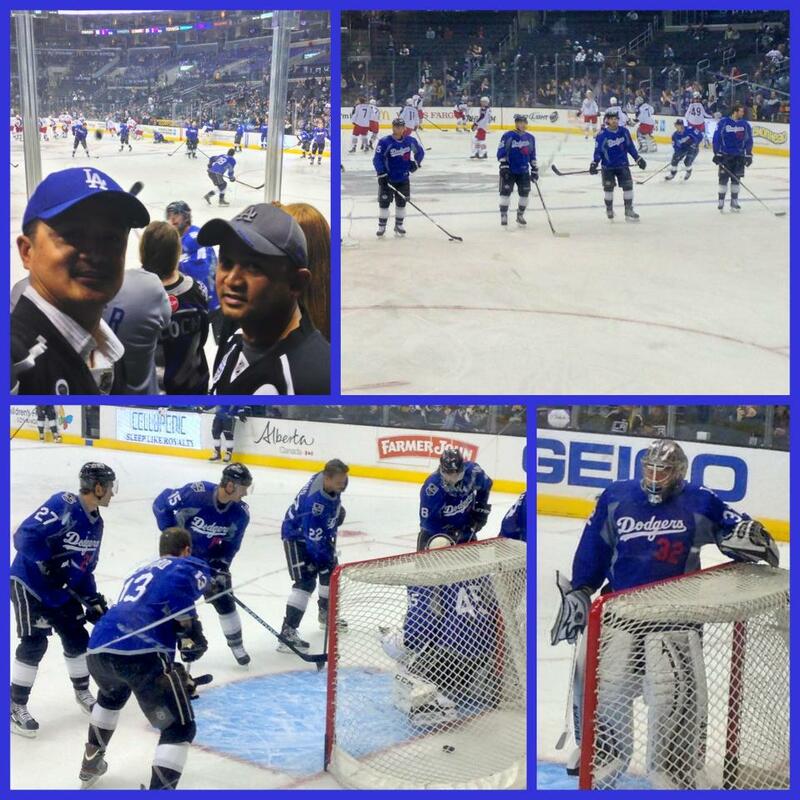 What is driving Mattingly, and others up the wall , including the fans…. ATTITUDE . Pirates over the Braves. The Bucs vanquish the ghosts of 1992. It’s been 26 years, the time is now !!! Dodgers over the Tigers in 6 !!! Hey Dre !!! 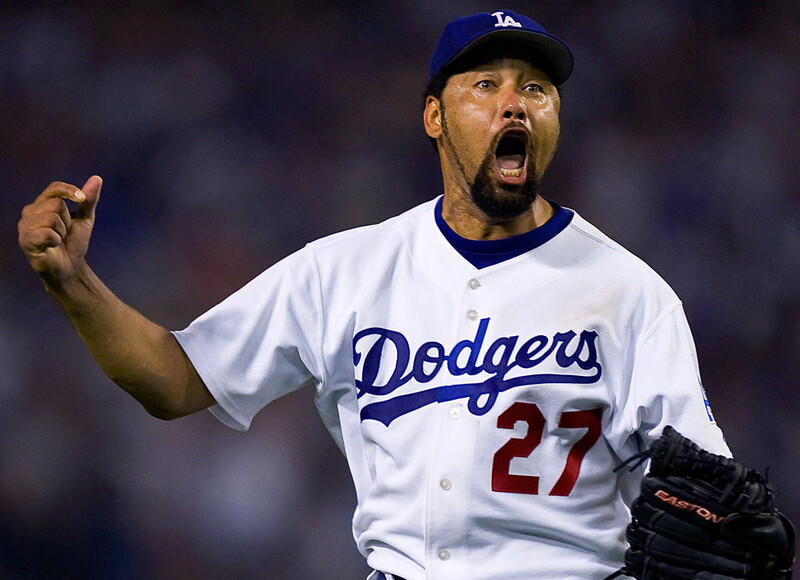 Are you really the longest tenured Dodger ? It doesn’t seem that long. It’s time we get you a ring Dre !!! 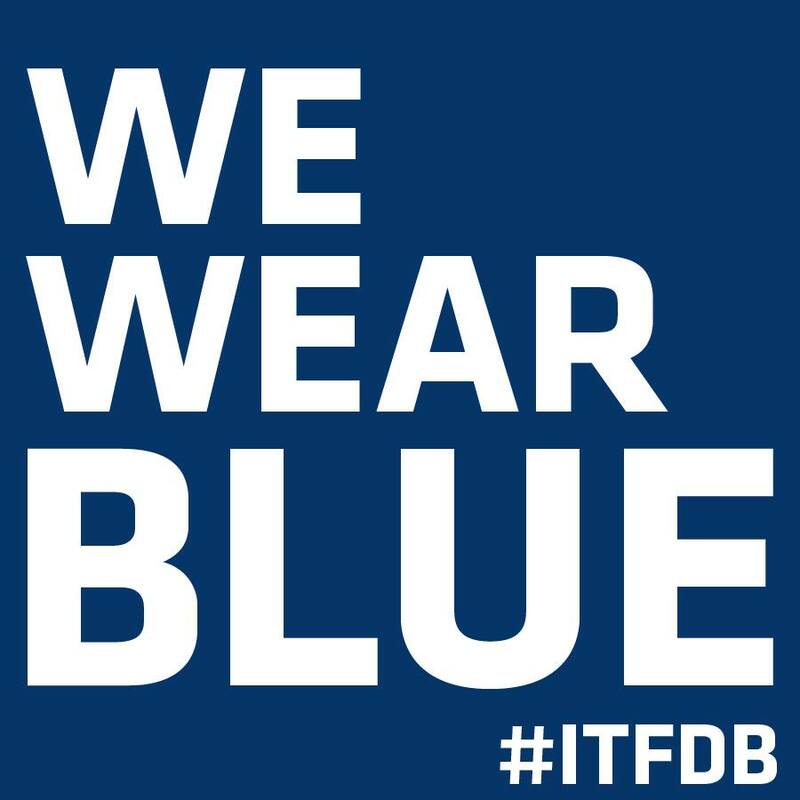 Also, for more in depth coverage of our Boys In Blue, you can follow the Dodgers Low Down for all things related Dodger Blue. No Off-Season for Dre’s Thoughts, MARAMING SALAMAT…THANK YOU !!! As much as I would like to see Jose Fernandez build upon his ROY status in 2014, I really do have to question this one. Yeah, our own Yasiel Puig has at times done some things to rub fans, reporters and even teamates the other way but when you compare the impact that these two had on their teams it really does not compare. Before Puig came up in June the Dodgers we’re in the NL West basement looking up until Puig’s June callup provided the Blue Crew some much needed spark. And who could forget his magical June ? He would struggle down the stretch but there is no arguing the impact the Cuban Missile had on the Blue. What is surprising is that the votes we’re not even close. So you didn’t get ROY. It’s all good. Perhaps the MVP next year ? It was announced on Monday that the Atlanta Braves will be leaving Turner Field after the 2016 season to move into the suburbs of Cobb County. 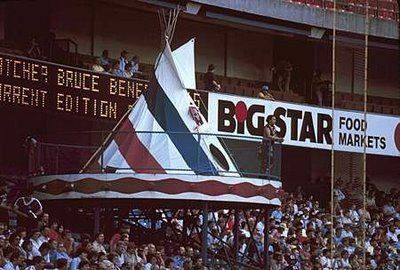 Should this go through as planned this would be the first of the post Camden Yards era yards to be left in it’s dust. Feelings are mixed amongst the fans in Atlanta about the move. Having been to Turner Field in 2007 I wouldn’t exactly put the Ted amongst the top yards in terms of game day experience but it certainly is nowhere near the bottom either. A lot of it has to do with location. Not exactly in the greatest part of town and access isn’t the greatest either. Having said that, the Ted really isn’t a bad yard at all. If the plans for the new stadium go through in time for the 2017 season ( though a rendering of the yard has not been released ) this would mean that Turner Field will have lasted only 20 seasons not counting the 1996 Olympics. Not good considering that yards built after Camden Yards we’re designed to last a good long time. Also, Juan Uribe was named the Dodgers Wilson Defensive Player of the Year for his outstanding work at 3rd base this season. Yeah, like many of you, I had my doubts about Juan coming into the season, and in spite starting the season backing up Luis Cruz, Uribe would have a strong season, highlighted by this 2 run home run off David Carpenter the Braves in Game 4 of the NLDS, sending the Blue to the NLCS. 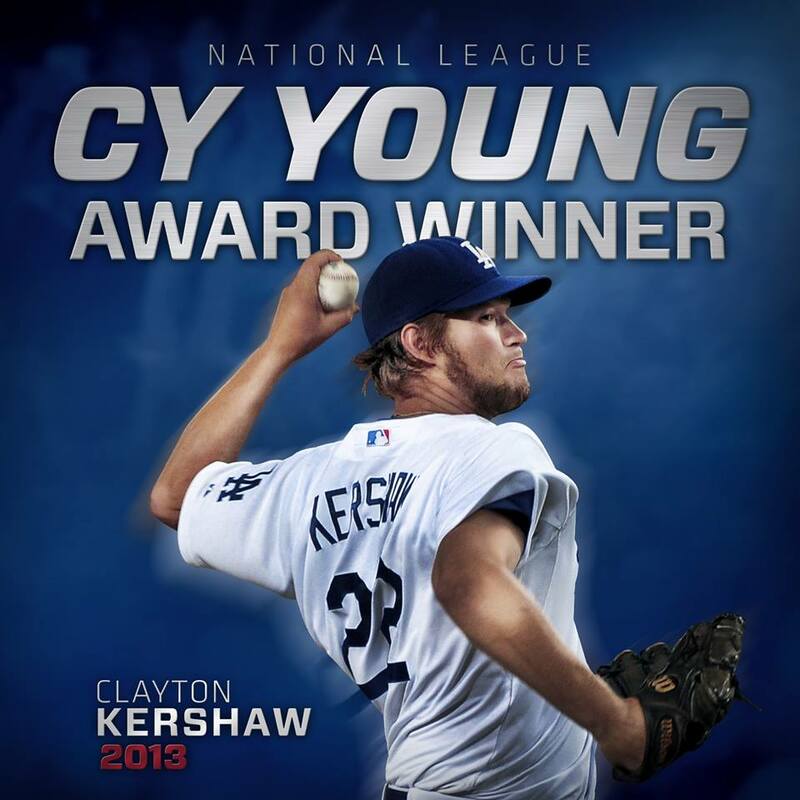 Congratulations Kershaw on your 3rd consecutive Cy Young !!! Next season, a World Series ring !!! OK, now back to a more serious topic. 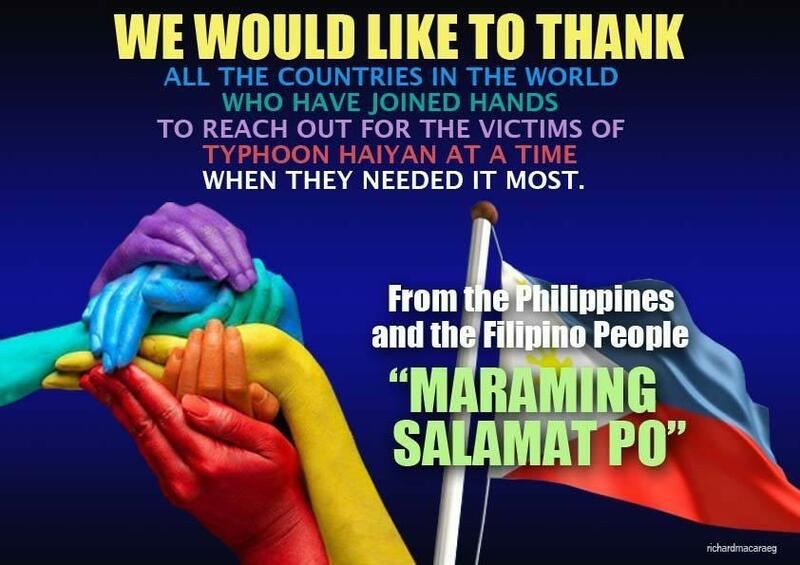 By now all of you are aware of the devastation that the people of The Philippines are going through. Over 1,700 have been confirmed dead, and the numbers are likely to rise. I am proud to say that California is home to the largest Filipino community not only in the United States, but also outside the Philippines. 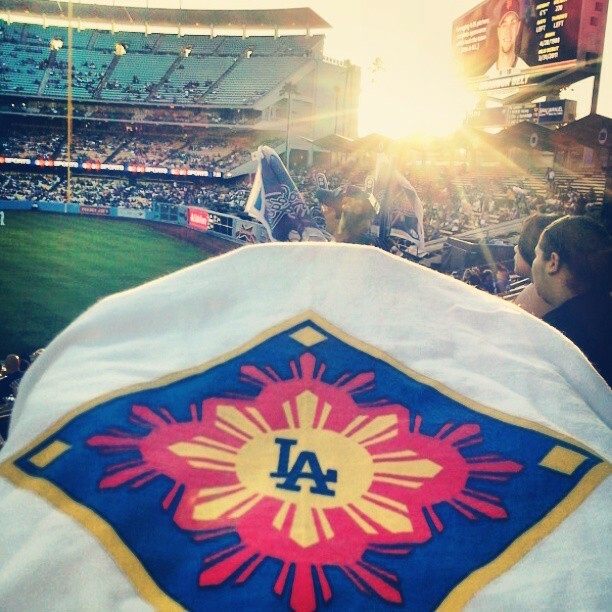 I am also proud to say that Los Angeles, with a Filipino population of over 330,000, is also home to the largest Filipino population of any U.S. city, so it would be safe to say that the Dodgers have the largest Filipino baseball fan base as well, ranked even higher than the Giants Filipino fan base ( Yeah, I had to go there. I’m sure our friends up in Daly City are reading this too…LOL… Hey, a little humor to a serious bit never hurt anyone…) . All kidding aside, understandably, there is much concern amongst the Filipino community here in California from San Diego to The Bay Area and of course all the way back here in Los Angeles as many relief efforts are being put to place. In addition , AT&T and Verizon are waiving fees for those who need to contact their loved ones in the Philippines. If you are interested in helping the victims of Typhoon Haiyan, you can click here for a list of organizations where you can donate funds to assist those in need. 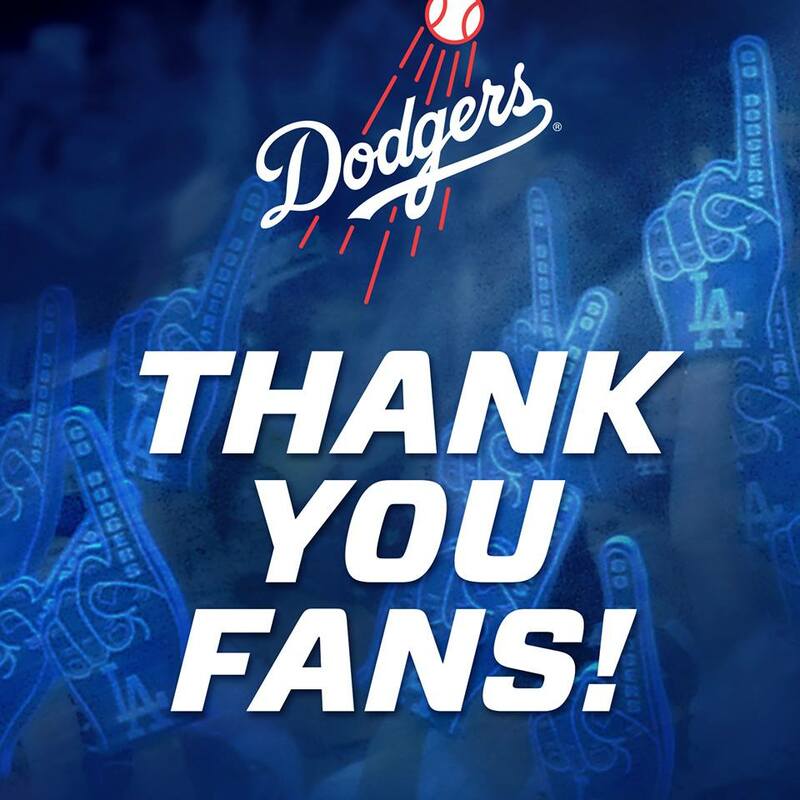 From this Filipino-American Dodger fan, other Filipino Dodger fans in Los Angeles, but more importantly, Filipino’s in Los Angeles, throughout California, and everywhere, we say, MARAMING SALAMAT !!!! THANK YOU !!! Also, a huge MARAMING SALAMAT to the good people of Team Rubicon, a team of military vetrans that are also assisting in The Philippines under ” Operation Seabird “. If you’re unable to contribute, a simple thought and prayer will also do. 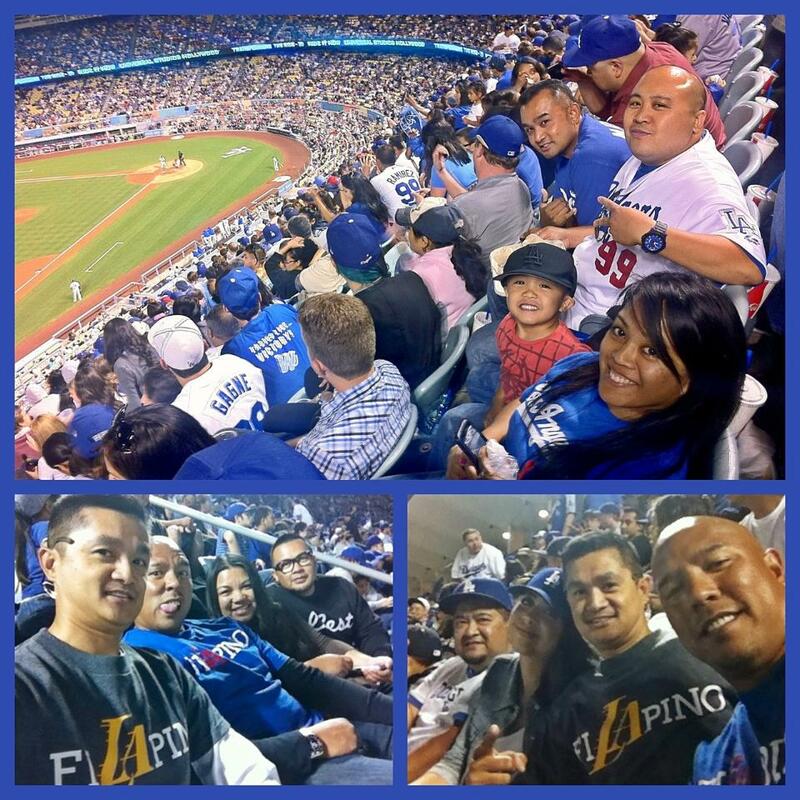 Filipino’s repping L.A. and the Dodgers !!!! Thanks Jon for the pic !!! 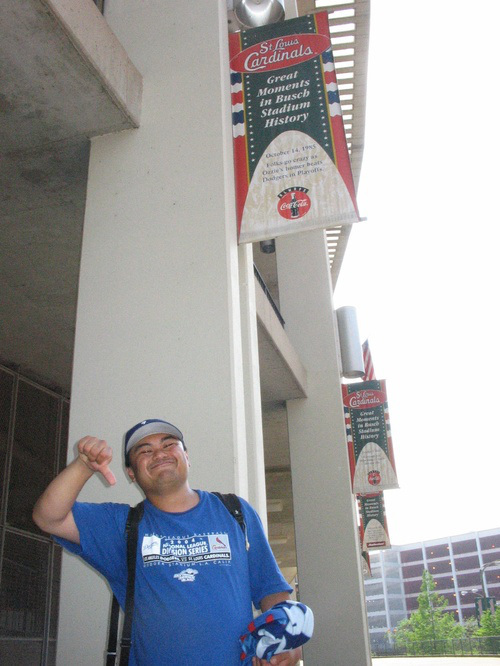 Oh yeah, if you’re a Filipino Dodger fan here in L.A. and have any pics of you and your friends and family at Dodger games, or any sporting events here in L.A, please do send them my way. I would like to feature them here on my blog. No More ” Wait ‘Til Tomorrow’s ” From Here on Out…. Tonight was a tough one to swallow. Neither the Dodgers or Cardinals had gone yard heading into Game 4 until Matt Holliday launched a rocket toward the Dodgers bullpen in left field to give the Red Birds a 3-0 lead. 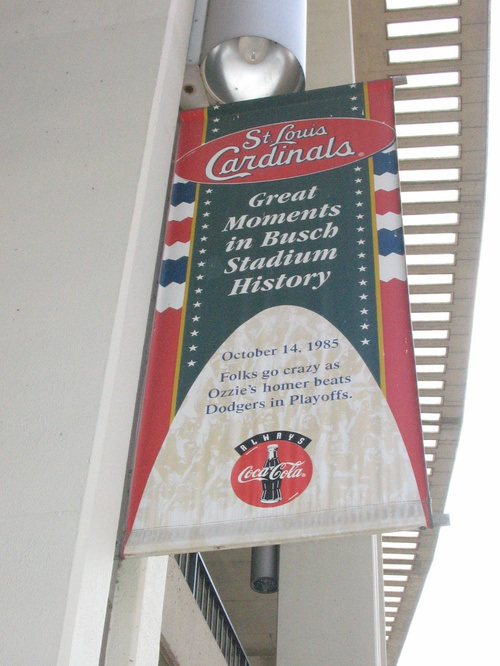 Shane Robinson would later hit a pinch hit solo shot off J.P. Howell to pad the Cards lead and that’s how it would hold up as the Cards take Game 4, 4-2 to take a commanding 3 games to 1 lead. A Break Here, A Break There…. Through 4 games, the Cardinals have had a slight edge in total runs scored, 8-7. 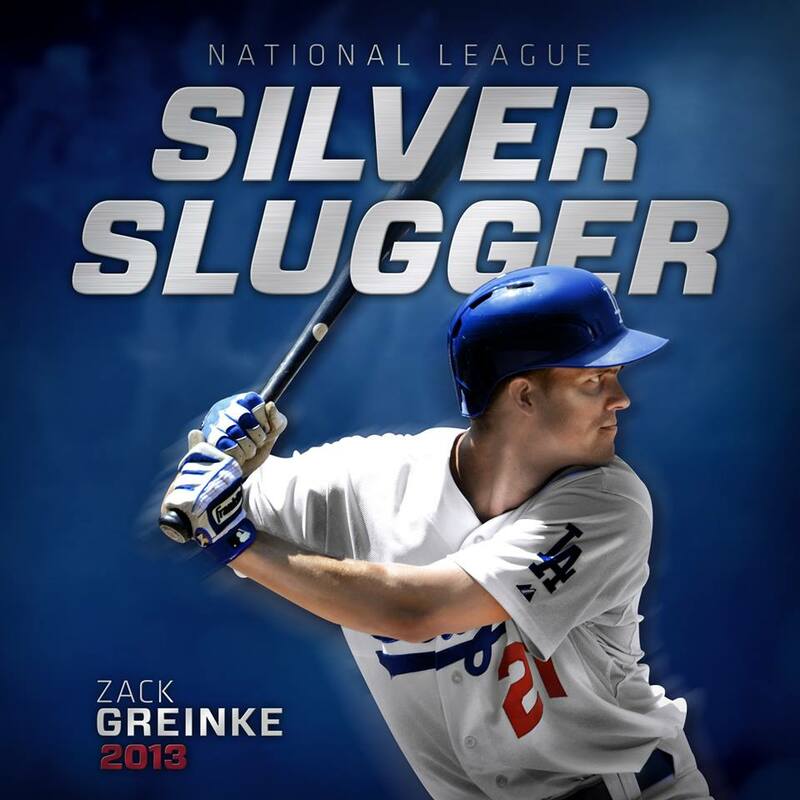 Tonight, the long ball certainly played big in doing the The Blue in…. 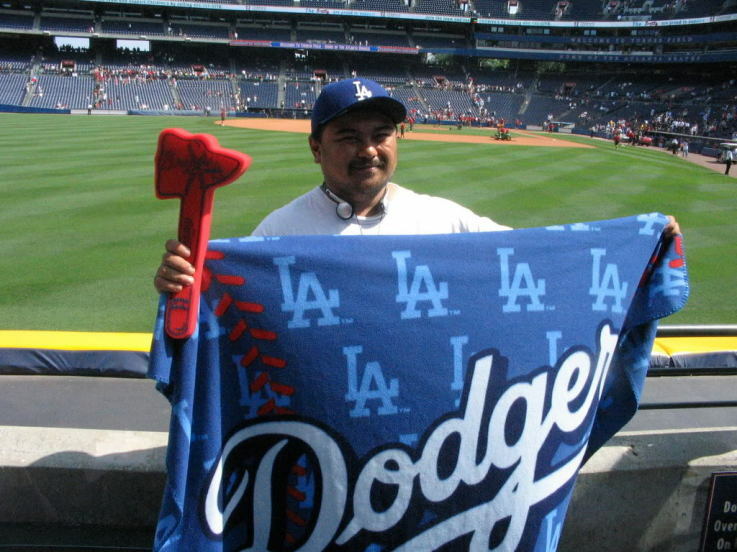 3 double plays, 2 of them inning ending and one of them a potential rally killer, as well as Nick Punto being picked off 2nd base after a one-out double and the Dodgers trailing by 2 also spelled doom for The Blue tonight…. 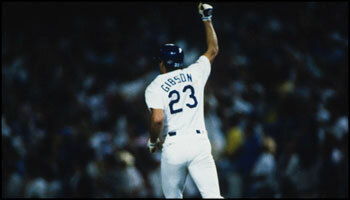 The Dodgers have outhit the Red Birds 31-19 throughout the 4 games, however when being asked to come through in the clutch, while neither team has torn the cover off the ball throughout the series, with exception of tonight, it’s the Red Birds who have been that much more clutch than the Boys in Blue…. Other Key Moments The First Four…. Top 12, after Carl Crawford leads off with a single and is sacrificed to 2nd by Mark Ellis, up comes HanRam. It doesn’t take a genius to figure out he will be walked to get to Michael Young’s spot, the spot originally occupied by Adrian Gonzalez, to set up a double play. Yup, you guessed it. And another rally is shut down. 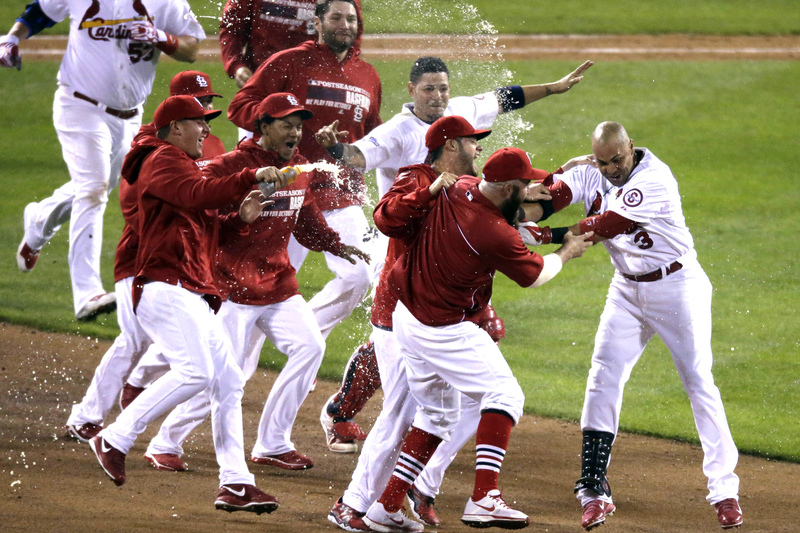 The Cards would end up winning in 13 on Carlos Beltran’s one out hit down the right field line…. 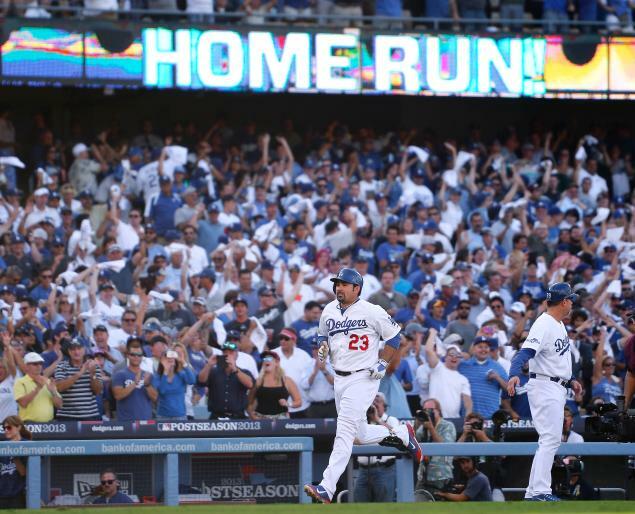 With the Dodgers trailing by a 1-0 deficit, Kershaw and Crawford at 2nd and 3rd with no one out, The Blue would fail to score, capped off by strikeouts by Puig and Uribe, 2 key reasons why the Dodgers advanced past Atlanta to reach the NLCS. That would be their best scoring chance of the day and in spite only 2 hits combined off Kershaw, Belisario, and Howell, the Red Birds would hold off the Blue 1-0 and take a 2 games to none lead in the series…. So, again, as I have stated, neither team is really doing much to run away from each other, statistically speaking. 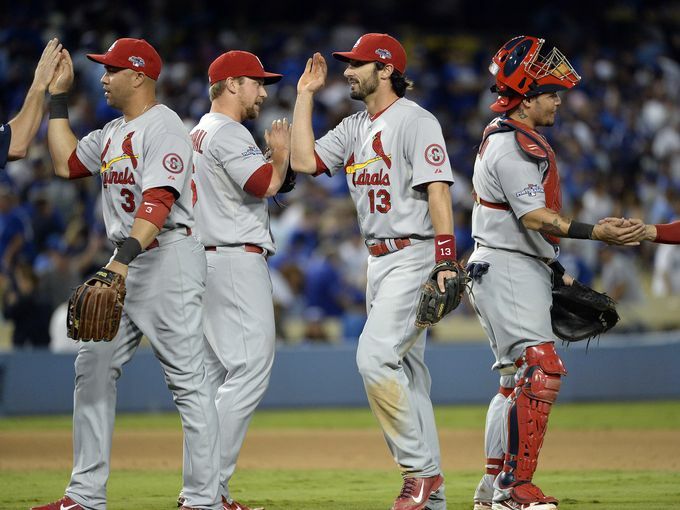 The Cards have done just enough to position themselves for their 4th World Series appearance since 2004, and in a series between what many have said was a matchup of 2 evenly matched teams, just enough may be, well, just enough…. A Place Called Home is a non-profit youth center located in South Los Angeles for which my sister currently works for. They provide assistance for at-risk youths in South Central an opportunity to achieve higher education and pursue their dreams. Well, APCH NEEDS YOUR HELP!! They’ve been selected as finalists to win $5,000 for our Nutrition program and we need YOUR VOTES to win! Voting only lasts until THIS Friday, so vote every day this week!! Like and Share to help our members AND their families! Vote at: http://www.greenfestivals.org/fcgg-la THANK YOU!! And perhaps this video clip from January of 2012 will inspire you to cast your votes…. As I said earlier and will say again, the Cardinals have not , in any way, shape or form, dominated this series. 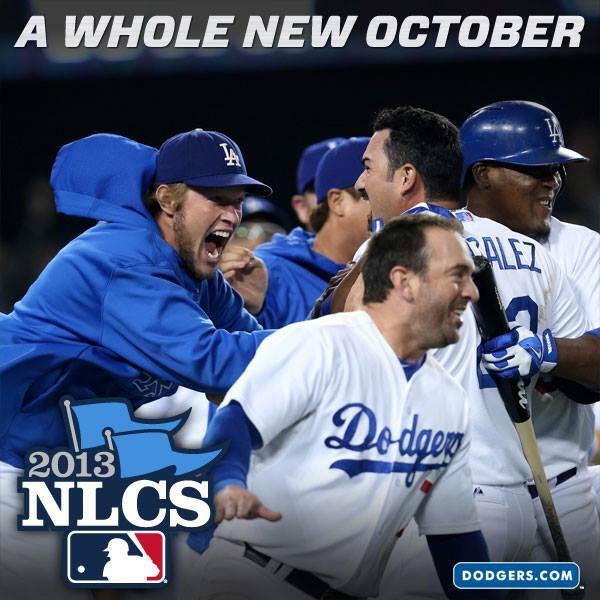 They have done just enough to get themselves into position to clinch a World Series berth. 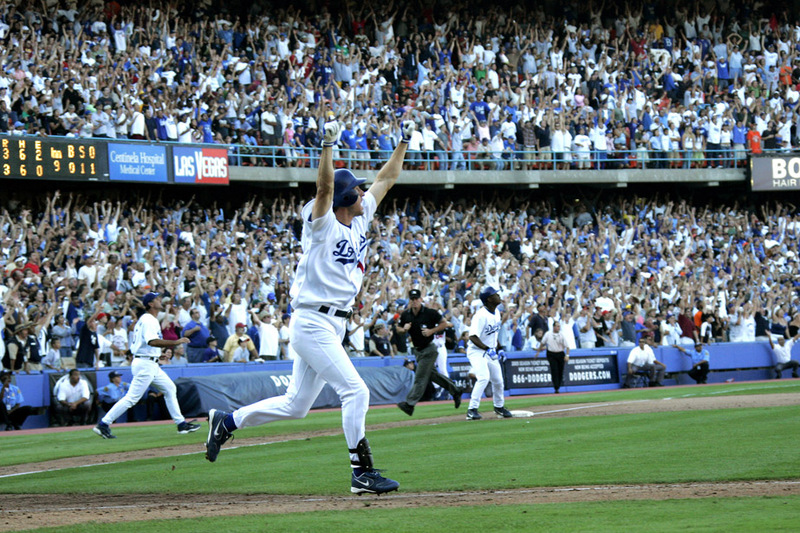 We get Greinke tomorrow and should we be fortunate to go back to the Show Me State for Game 6 we get Kershaw. Has anyone won back to back games against these two this season….twice ? It will be tough to do it again. The Dodgers just gotta come up with that clutch hit, and not let tomorrow’s starter, Joe Kelly off the hook as they did early and often in Game 1. Momentum can be a fair-weather trait. It’s time we get that back tomorrow !!!! We shoulda had white towels today, Holliday doesn't like those. 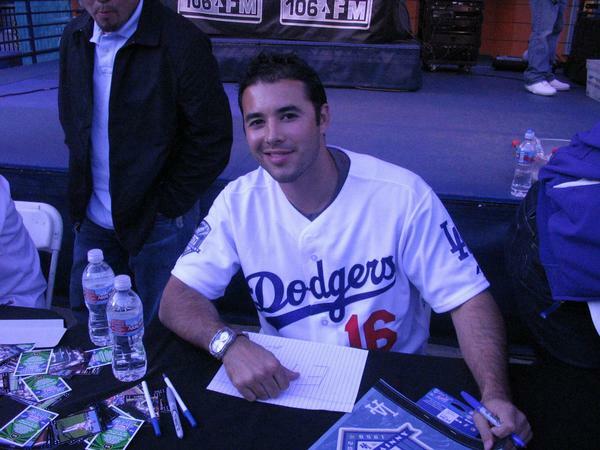 He almost lost Ethier’s fly in the 6th. Kinda did bring back memories of this…. 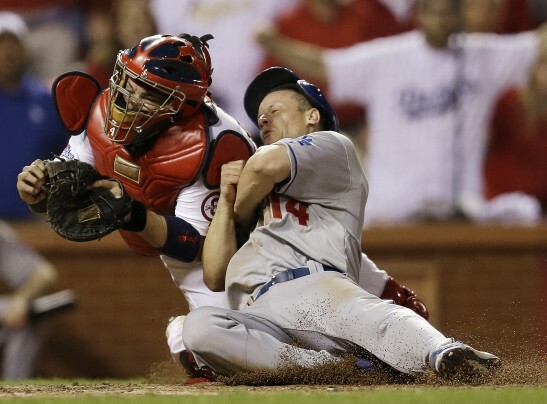 Unfortunately, tonight, it was Holliday who did major damage to The Blue…. I STILL BELIEVE !!!! GO DODGERS !!!! We’re behind you A.J. !!!!! Many have brought up this great moment in This Day in History, 1988, for you insomniacs who need a little encouragement for tomorrow…. OK, enough from the past !!! It’s all about tomorrow !!! BELIEVE !!!! GO DODGERS !!! !